I’ve wanted to talk about Mr Templeton since the beginning of these posts of mine. The first proper (double tailed) board I had was a Toy Machine Brian Anderson deck. It had a totem pole on it. Since then I’ve been a proper fanboy of Ed-T. Seeing his artwork on boards made me want to make my own graphics one day. Which I have now accomplished. The idea that the pro you like does his own graphics and has his own company was very much a winner for me. It’s so good to know that there is a rad skater behind the brand rather than an old dude in a suit just trying to get rich. 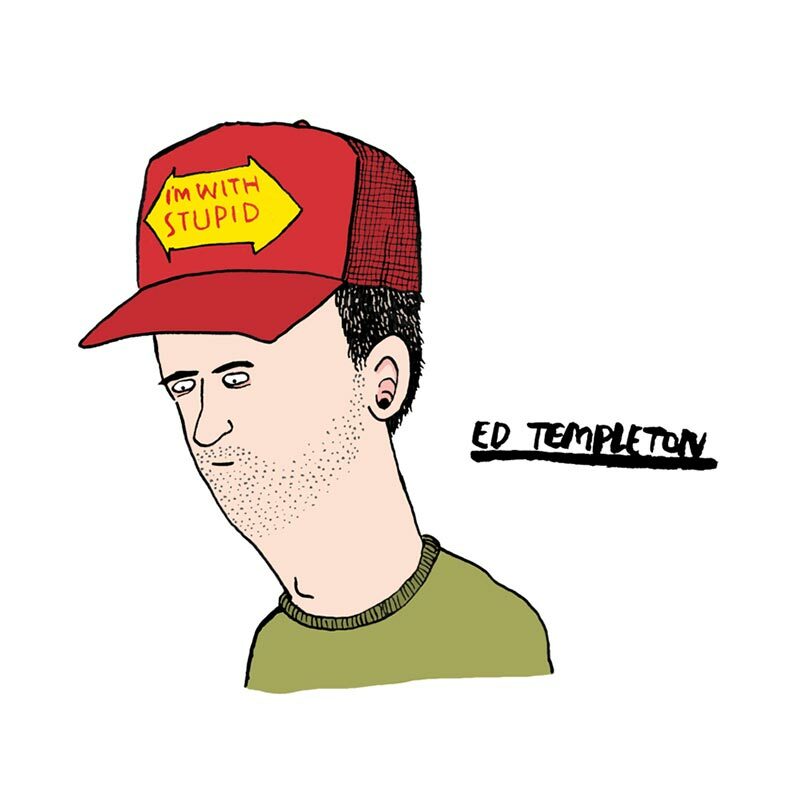 Thank you Mr Ed Templeton For your constant inspiration. If I was gay I’d be gay for you. P.S. Please bring your big lovely paintings to the UK soon so I can enjoy them. I am yet to see your paintings in real life. Also, if you do put on a show here I’ll be the guy wearing his big toy machine trucker hat, clutching a zine he wants to give to you but is too afraid to even go up and speak to you… and if he does he will probably make a fool out of himself. You’re probably thinking I sound like an obsessed creepy weirdo stalker fan, and you’re right I am. Im ok with that.